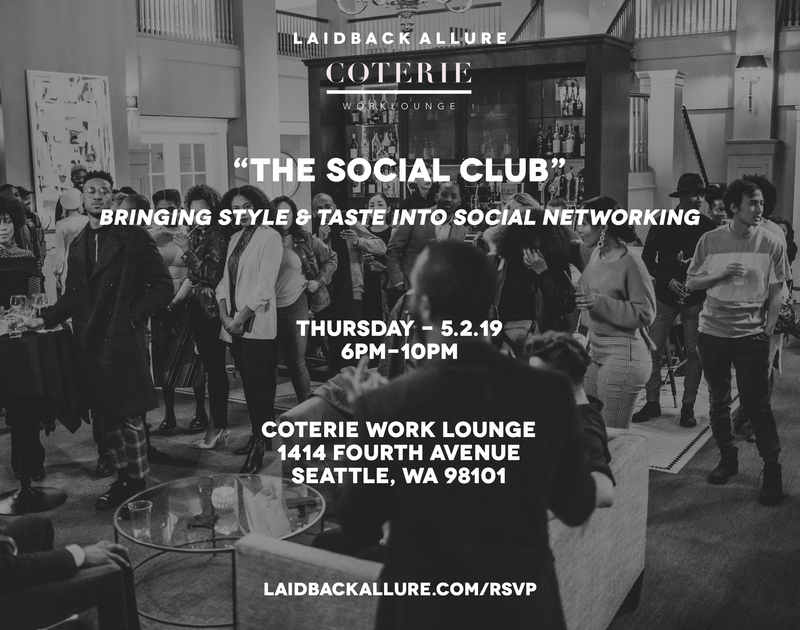 Every first Thursday of the month, Laidback Allure hosts The Social Club, coined as the most elevated, diverse and tasteful social networking event series in Seattle. Our intent is to bring together the most fly people for meaningful conversations, tasteful cocktails and community awareness. The event is hosted at Coterie Work Lounge, an elegant and sleek workspace that comes equipped with all the business amenities needed for the working professional. This space also features a full bar that serves all your favorite premium alcoholic spirits. The attire for this evening is whatever you consider “fly”. The event starts at 6 pm promptly. We look forward to hosting you.